Do you have a jewelry store or other retail location that sells necklaces, or do you have a private collection of necklaces you'd like to keep organized and accessible? Our broad selection of necklace t-bars, stands and other displays provide an elegant solution. Arrange necklace on a countertop stand to catch your customer's eye as they're browsing — allowing them to handle and try on and fall in love with a particular piece. We make these in the US out of sturdy, attractive, high-quality polished acrylic. 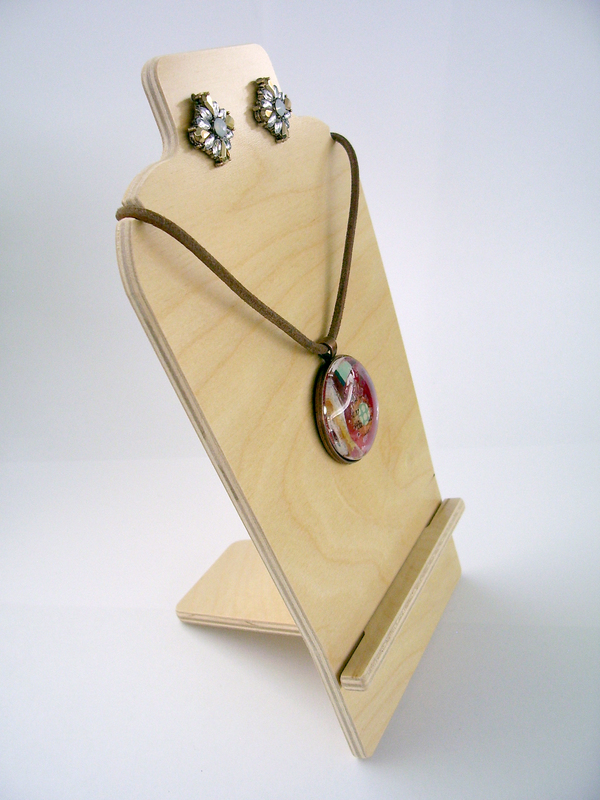 Understated yet elegant, these necklace displays will help your jewelry come to life! Most of these stands are in stock and ready to ship.